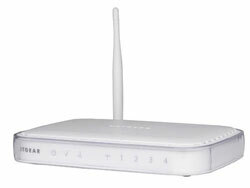 Wireless networking can be a terrific convenience if setup correctly. Of particular concern are the number of un-secured wireless networks in Newcastle and Lake Macquarie. It is common to be in a suburban street and find there are a few wireless networks popping up. This is very handy if you need some temporary internet access at someone elses expense but it’s also a great way of having all your download allowance leeched.With the addition of new networked devices into homes like PS3’s, Xbox 360’s, laptops, iphones, mobiles with wi-fi capability and wireless printers I have seen a lot of new wireless devices installed recently. More devices than ever before are internet enabled. Whilst it is very liberating to un-tether from an ethernet cable you are introducing a whole raft of security issues to your network. There are many people who buy a wireless router from a retailer, install it onto their existing ADSL modem and leave access open to anyone. This is an especially great way to share your family photo connection with the neighbours, have someone rack up massive download usage and possibly your internet provider bill. If you have concerns about the security issues that arise from the installation of a wireless router the first thing to check is that you are using WPA or WPA2 encryption. If you need a hand with your home or office network please contact us and we can book a time to have a look at it for you and help sort it out.